It is impossible to immerse oneself in Armenian culture and not to try Armenian national dishes. The cuisine here is so rich and various, that it will satisfy the tastes and preferences of any tourist. Even the most rigorous gourmets won’t remain indifferent. Armenian cuisine is the most ancient in the Caucasus region. It formed about 2000 years ago. 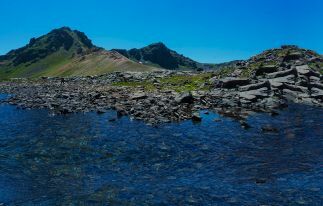 Well-developed stock raising in the Armenian highlands led to a variety of meat and dairy products, and the early appearance of agriculture explains the extensive use of grains, vegetables, and herbs. It is hard to imagine Armenian meals without these products. Originally Armenians were preparing food in pottery crockery and were baking in a special oven – called a tonir. Another characteristic of the national cuisine is the extensive use of herbs and spices. Armenian cooks use 300 species of wild flowers and herbs as a seasoning or even as a main dish. If you prefer to start your meal with a delicious hot soup – then you should try such Armenian soups as spas, yayni, tarhan, bozbash and, of course, the famous khash. Spas is prepared from matsun (fermented milk product) with the addition of wheat. Khash is an ancient delicious and very healthy soup. It is prepared from beef hooves and tripe. Traditionally Armenians eat khash in the early morning, before breakfast, or at breakfast, adding chopped garlic and plenty of spicy greens. If you cannot imagine your meal without meat – then Armenian cuisine is what you need, because it is hard to imagine the local table without meat products. 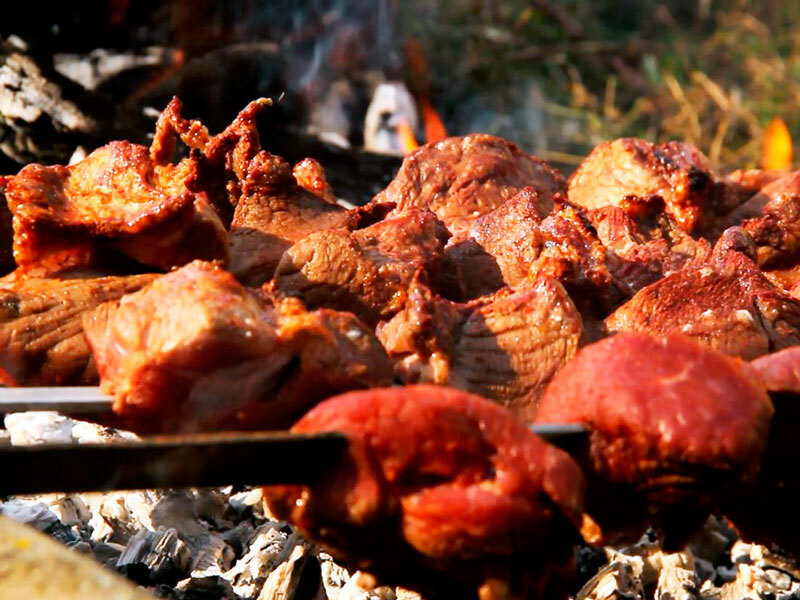 Barbecue is prepared here by special Armenian recipes and is called khorovats. There are more than two dozen types of khorovats here. Before cooking, the meat is marinated in different sauces. Famous dolma is made from minced meat, which is wrapped in grape leaves. As the sauce, they serve matsun with garlic. Another famous meat dish is tjvjik, which is prepared from beef viscera. Fish dishes are also very popular in Armenia. Different types of fish are bred in Lake Sevan, but the most delicious is a trout, which is called ishxan – “a royal fish”. The fish is boiled, stewed, fried, and cooked on skewer or on coal. Traditional fish dishes are kchuch and kutap. It’s impossible to imagine Armenian table without bread, especially without lavash. Lavash is traditional bread, which is made according to the old technology of wheat flour, and water, and then baked in tonir. This thin pancake-like bread is of purely Armenian origin and is the pride of the entire nation. Dairy product lovers can try Armenian white cheese and one of the most common fermented products – matsun. If diluted with water, matsun turns into an excellent refreshing drink – called tan. Do you have a sweet tooth? Armenian cuisine has something special for you too. Gata is a multi-layered cake, each layer of which is saturated with melted butter and sugar. That’s why it has such soft dough and delicate flavor. A sudjukh is a must for any feast and New Year tables. It is prepared from grape syrup and walnuts. 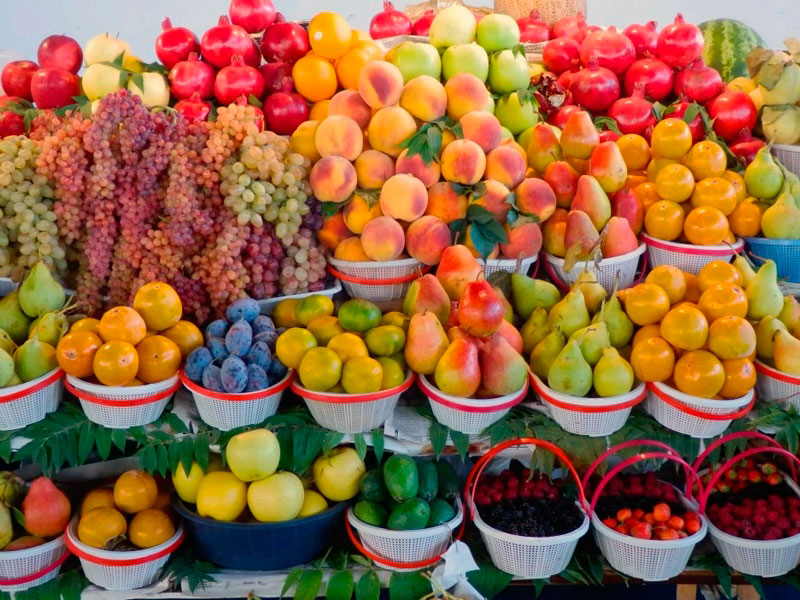 Armenia is a sunny country, rich with bright and juicy fruits and vegetables. 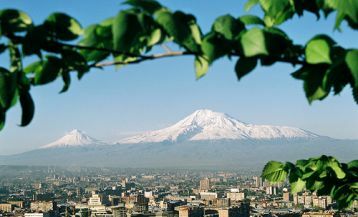 However, without any doubt, the symbol of Armenians has always been – an apricot. They have been growing it for more than 3000 years. It absorbs all the bright rays of the sun and every year pleases people with its delicate flavor and aroma. Banquet tables in the country are always full of various viands. Armenians are very hospitable and like to entertain guests. If you manage to visit the Armenian feast, remember that none of the mistresses will let you leave the table before you have tried all the cooked dishes. Your plate will never be empty, as attentive hosts will take care of it. For those who want to try Armenian national dishes, there are lots of restaurants in the country. You can visit “Dolmama” restaurant. Here you will find ethnic cuisine recipes which are combined with European sophistication. Any dish served here is worthy of the highest praise. The cost of one dinner, including several dishes, ranges from 15,000 to 30,000 AMD. 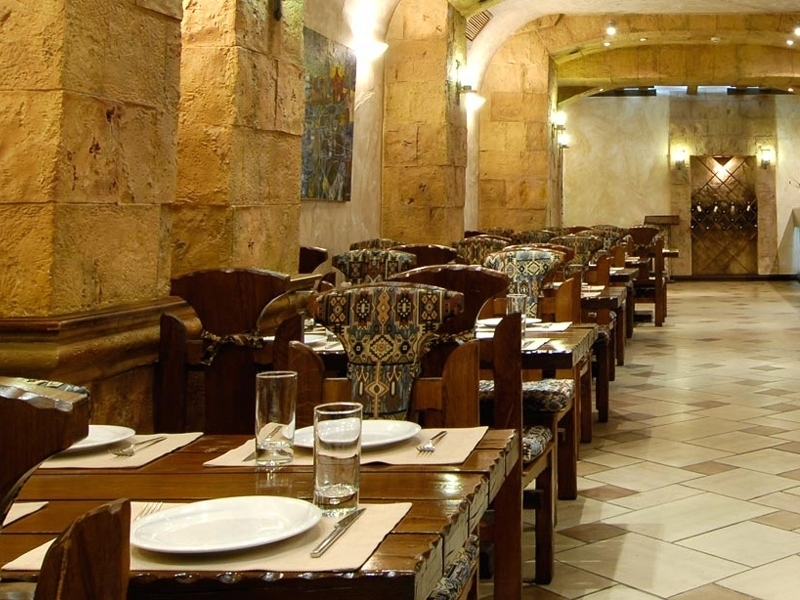 “Capella” restaurant will also please its guests with tasty Armenian dishes and rather low prices. Here you can enjoy the food not only in the restaurant, but order it to your address as well. The cost of one dinner, including several dishes, ranges from 6,000 to 12,000 AMD. 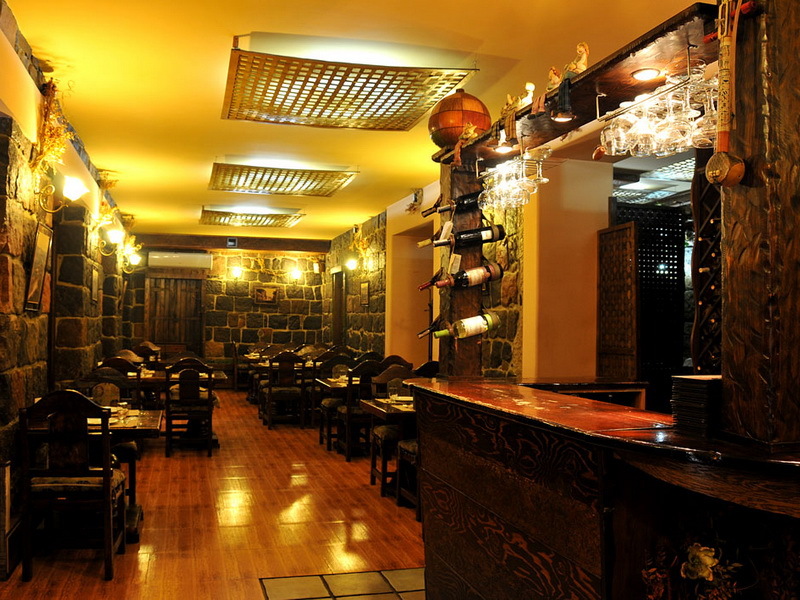 For those who want to try famous khash, the best choice is “Tavern Yerevan” restaurant. In Armenia, khash is not just food, but a special morning ritual that nourishes not only the stomach, but also the soul. This meal gathers all friends and relatives around one table. “Tavern Yerevan” creates wonderful atmosphere and all the necessary conditions to have a good time and enjoy this popular dish. The cost of one dinner, including several dishes, ranges from 10,000 to 30,000 AMD. If you are a fan of seafood then you should definitely try some fish dishes on the coast of Lake Sevan. 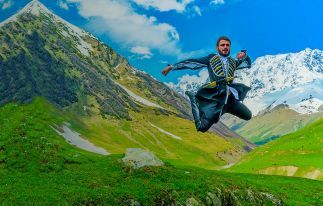 For the most delicious trout you can go to Tsapatakh village. In “Zanazan” restaurant, an absolutely stunning trout in lavash is served, which is baked with seasonal vegetables in an oven. Almost all restaurants in Sevan prepare kebab from crayfish tails, which is an amazingly delicious and delicate dish. 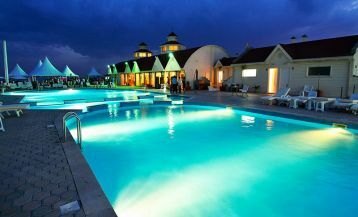 It is so easy for the tourists to get lost in the variety of national dishes and in the maze of cafes and restaurants. AraraTour provides a great opportunity for those who want to try the most delicious Armenian dishes. 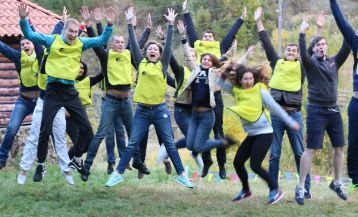 By choosing our Wine Tour to Armenia, you will be able to take part in “xorovats” and “tolma” preparing master-classes as well as to take part in “lavash” baking demonstration. 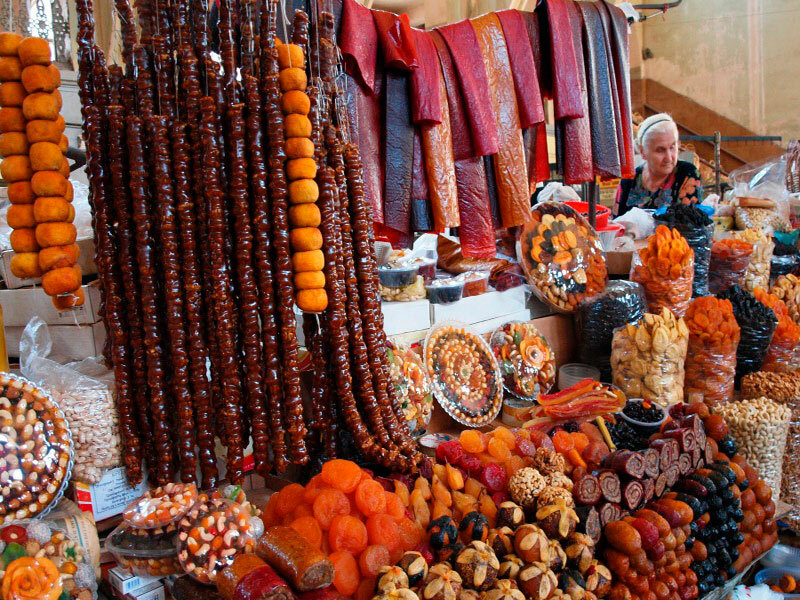 Together with AraraTour you will visit the most famous Armenian markets and taste fresh fruits, vegetables, and dried fruits.